April will be all about flowers this month as we see all the beautiful blooms around us. We will look at the parts of a flower, the flower life cycle, flower species and do lots of flower arranging to make our classroom look extra beautiful. We will be saving our old flowers to put into the flower press and use for all kinds of beautiful artwork this month. We will also be learning about colors this month! We will explore primary, secondary, and tertiary colors along with the color wheel, color mixing, and color box 3 (tints and shades of color). On the geography shelf we will look at the layers of the earth and discuss ways we take care of the earth as Earth Day approaches. • Look for rainbows this month on those rainy/sunny days Seattle always brings us in the spring- if you find one, try to name all the colors you see! • Arrange some flowers at home: have your child trim the stems, fill the vases, and place the flowers together to make a beautiful arrangement! When they’ve wilted, press between the pages of a large book. 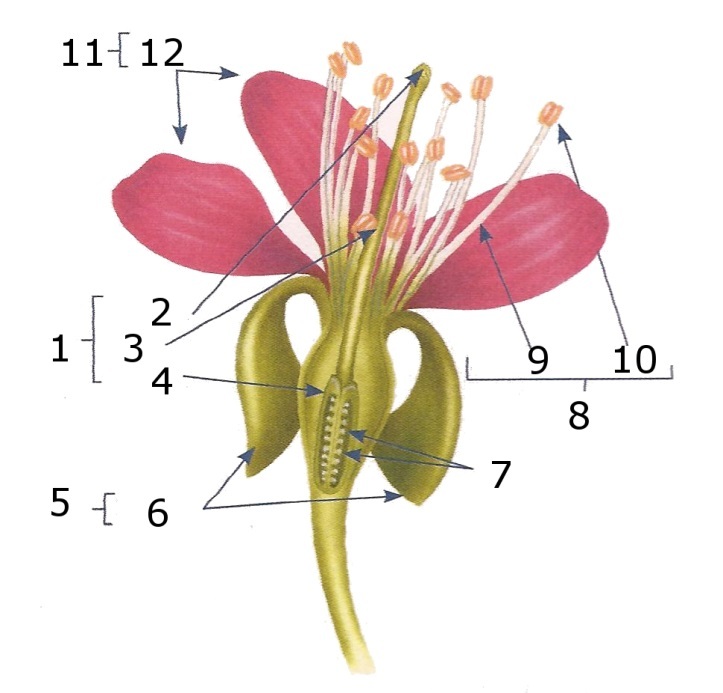 • Find a flower outside to dissect: use some tweezers and a magnifying glass if you have one to inspect the parts of the flower. Take them out, look at them up close, you can even tape them to a piece of paper and label them! • Mix up some colors: use food coloring and water, paint or different colors of playdough to mix. Start with the primary colors and see what new color you end up with! • Celebrate the earth: with Earth Day coming up, what better time to take a moment to thank the earth for all it gives us. Talk about and practice recycling and composting at home. Discuss all the special things the earth gives us and ways we can give back to/take care of her. We would LOVE fresh flowers for the classroom this month to help us learn the parts, learn how to arrange them, and press them for artwork. Please feel free to bring us your fruit and veggie scraps for the bunnies!